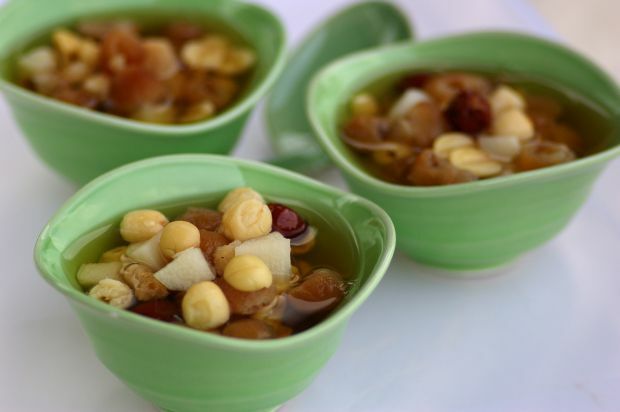 Dioscorea Yam and Lotus Seeds Dessert is a sweet soups are often served after a meal as a dessert or eaten as a teatime snack. Peel dioscorea yam, then rinse and cut into cubes. Fill a double-boiler with boiling water and add all the ingredients. Cover and double-boil over medium heat for 1 hour. Serve this dessert hot or cold.